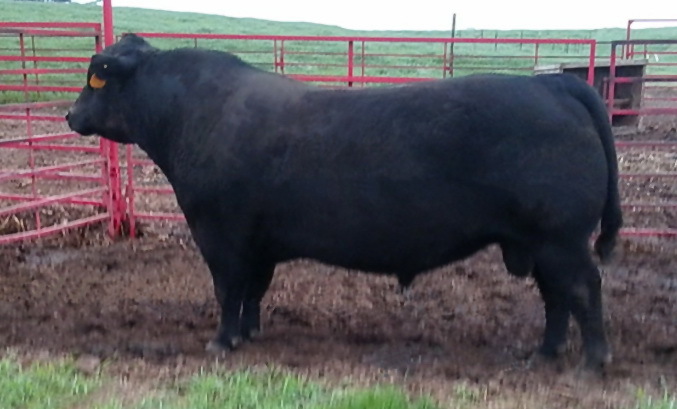 Her Dam (Pine Hill Brandy 12U) records a 106% Weaning Ratio, 111% Yearling Ratio, 108% Ribeye Ratio, 126% Marbling Ratio and stands in top 25% for RADG (feed efficiency) and top 15% for Doc (docility). 8 Stay (longevity) 9 YW (yearling weight) 7 ADG (average daily gain) 10 CW (carcass weight) 6 RE (rib eye) 6 Tend (tenderness). Her pedigree traces back to the great Hyline Pride cow family from the Raymond Van Dyke herd, in Bozeman MT. Pine Hill Brandy 315Z is the most docile in our herd. We don't bait our cattle in with apples or sweet-feed so we can tame them. This Pet-Me Pet-Me disposition is born-in. They either have it, or they don't. Brandy has it. Click HERE for S/A Bismark 6141-221 video, pedigree and pics. Sire: Pine Hill In Focus 33X. His birth weight 68 pounds. Dam's birth weight 70 pounds, Grand Dam's birthweight 68 pounds. Great Grand Dam's birth weight 69 pounds. CALVING EASE! We've owned this cow family all the way back to the Great Grand Dam. They consistently produce low birth-weight, thick made cattle with moderate frame scores and show-stopping phenotype. A pedigree loaded with Pathfinders, that stacks 5 generations of solid A.I. breeding. 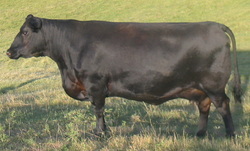 He stands in the top 3% in the breed for CED (calving ease direct). 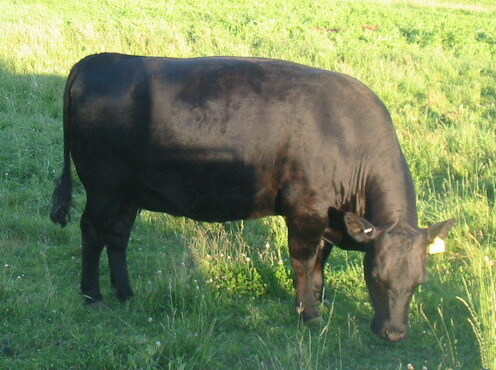 A real cow-maker, this sire successfully combines extra muscle, shape, and dimension with an exceptional clean-fronted profile. Cow family is very docile, and displays outstanding feet & legs, and picture perfect udders. No surprises, no disappointments.